Geopolitika - Ukraine's Party System in Transition? The Rise of the Radically Right-Wing All-Ukrainian Association "Svoboda"
Ukraine's Party System in Transition? The Rise of the Radically Right-Wing All-Ukrainian Association "Svoboda"
Ukrainian politics has been divided between two camps: the pro-Western democrats (recently represented by the "Orange" parties) and the pro-Russian anti-liberals (recently dominated by the Party of Regions). Now radical nationalists are gaining political strength. Will they manage to get their so-called Freedom party into the national parliament? The tumultuous events in the Ukrainian executive, legislative and legal branches of power over the past months have deflected the public’s attention from another important change in the political system of Ukraine. At the last local elections, Oleh Tyahnybok’s nationalist party "Svoboda" [freedom, ed] received around 5% of support from the Ukrainian population, which means that this political force, which has yet to be studied in detail, increased its representation in the regional and local parliaments of Western and Central Ukraine. It also has more and more chances of forming its own party in the next Verkhovna Rada (Supreme Council = Parliament). This would change the structure and the nature of both political competition and public discourse in Ukraine. The ideological spectrum of the party landscape at national level may soon lose its current two-pronged division. Since the collapse of the USSR, the majority of political parties and groups represented at different times in the Parliament could to a greater or lesser extent be classified as belonging to one of two camps in the Ukrainian political landscape. One the one hand, there is the camp of pro-Western and pro-European national democrats. From time to time their electoral associations featured individual politicians with a nationalist past (for example Andriy Shkil, Andriy Parubiy and Levko Luk’yanenko), but on the whole the camp preserved its general liberal direction. On the other hand, there is a more or less pro-Russian, latently eurosceptic, often anti-American and partly anti-liberal group of parties, which in the 1990s was dominated by the Communist Party, and is now dominated by the Party of Regions. Unlike Western politics, civilizational and geostrategic orientations played a more important role than economic and socio-political agendas for both Ukrainian camps. This led to coalitions that were unusual from a Western point of view, e.g. the alliance between the Party of Regions, run by financial magnates ("oligarchs"), and the Communist Party of Ukraine, or the social-democratic "Batkivshchyna" (Fatherland) party of Yulia Tymoshenko joining the economically liberal European People’s Party (with observer status). Over the last 20 years, it is true, some Ukrainian parties could not be clearly classified as belonging to either of these two blocs. But these were mainly groups which had programmes synthesising the ideas of the two camps and which strove to position themselves as a balancing force, in one way or another. These parties (for example the Socialist Party of Ukraine, the Litvin Bloc, "Trudovaya Ukraina" etc.) tried to occupy, in the party spectrum, a hybrid niche the ideological uncertainty and changing membership of which led to it sometimes being called "the swamp." The moderate success and vague programmes of these "centrist" parties, and also the high fluctuation of parties within this ideological section, meant that the two main political camps have dominated in election campaigns throughout the last two decades, and also in political debates broadcast by the Ukrainian media. "Svoboda," the "white-blue" and the "orange"
The entry of "Svoboda" into the Ukrainian political establishment wrought changes in both the existing ideological rivalry of the parties and future constellations of political forces and possibilities for coalition in parliament. Firstly, it seems obvious that "Svoboda" could only be a coalition partner for the "Orange" parties, not for the Party of Regions. "Svoboda" and the Party of Regions are, to be sure, somewhat alike in their tendency towards authoritarianism (Svoboda is in favour of a purely presidential regime) and anti-Western ideas (neither party is very interested in post-war European values). Furthermore, there are rumours that Tyahnybok’s association – evidently for reasons of political strategy – secretly received support from the Party of Regions, perhaps including financial infusions. Nevertheless, an official alliance between Yanukovych’s party, which values good relations with Putin’s United Russia, and "Svoboda" does not seem possible because of the latter’s harsh anti-Russian position. But, it would also be difficult for national democratic groups to move from the current informal cooperation with "Svoboda" at public events or in television debates to an official alliance. The programmes of the nationalists and the national democrats do have points of contact on issues of national historiography, pro-Europeanism or anti-Putinism. What is more, Yanukovych’s recent attempts to change the Ukrainian political system have brought the interests of all nationally oriented parties closer together. The battle to preserve their organizations as significant public actors, and to protect the independence of Ukraine on the international stage, may lead to further rapprochement between the "Orange" parties and Svoboda. But outside this context, the fundamental mindset, political ideas and future vision of Ukraine among liberal national democrats on the one hand, and ethnic nationalists on the other, have little in common. This becomes clear already from reading Svoboda’s programme. And, it should be noted that, typically for parties of this kind, official documents only partially reflect the real party ideology. They are written to comply with the political correctness of their countries, and thus are more moderate (often considerably so) than the actual, internally discussed agenda of the given organization. preferential treatment for Ukrainian students in the allocation of hostel places, and a series of similar changes to existing legal provisions. Measures such as these are in themselves nothing out of the ordinary, but if they were all introduced at once, they could result in officially sanctioned ethnic differentiations that may eventually lead to the stigmatization of Ukrainian citizens of various nationalities, and guests of Ukraine. This would violate the principles of human rights to which Ukraine signed up when it joined the Council of Europe, and would aggravate existing ethnic conflicts in Ukrainian society. What is more, "Svoboda" announces in its programme that it is both possible and necessary to make Ukraine the "geopolitical centre of Europe" – a typically nationalist delusion of grandeur, reminiscent of Russia’s current superpower ambitions. For this and other reasons, close cooperation of the "Orange" parties with Tyahnybok’s organization would provoke scepticism from their Western partners within the European People’s Party. For example, the French Gaullists of the Union for a Popular Movement, or the Italian conservatives of the Union of Christian Democrats, will be unlikely to feel sympathy for any possible official cooperation of "Batkivshchyna," the Rukh Movement of Ukraine or "Nasha Ukraina" (Our Ukraine) with a Ukrainian group officially allied to Jean-Marie Le Pen or Luca Romagnoli. Tyahnybok’s party is a member of the so-called Alliance of European National Movements (AENM), which includes the French right-wing extremist Front national led by Le Pen and the Italian neo-fascist party "Fiamma Tricolore" led by Romagnoli. Svoboda’s membership of this pan-European alliance is a good illustration of the type of nationalism represented by Tyahnybok’s movement. The AENM is not an association of parties like the Austrian Freedom Party, which could be classified as right-wing populist. Besides "Svoboda," the Front national and Fiamma Tricolore, the AENM comprises several extremely nationalist parties. These groups are even more xenophobic than the neo-populist right-wing parties that have become widespread in Europe recently. AENM members include the British National Party, the Belgian National Front, the Movement for a Better Hungary (Jobbik), the Portuguese National Renovator Party, and also the Spanish Republican Social Movement. These parties occupy the far right-wing niche in the political spectra of their countries, and exist in greater or lesser isolation from the political mainstream. The reasons for the growth of right-wing radicalism in the Ukrainian party system, it seems, are both social and political. The international financial crisis has had serious social consequences for Ukraine over the last two years and provided fertile ground for various protest movements, but this is not the only factor. During the even greater social upheavals of the 1990s, Ukraine demonstrated a surprising immunity to the existing right-wing extremist tendencies in the party system of the time. The Ukrainian National Assembly, the Congress of Ukrainian Nationalists, or the Social National Party of Ukraine (from which "Svoboda" was subsequently formed) tried to get into the Parliament on their own or in nationalist blocs – but they were unable to do so. If extreme nationalists did get into the Verkhovna Rada (Supreme Council), they were only junior partners or individual representatives in large national democratic alliances, on whose policies they had little influence. The relative failure of Ukrainian radically right-wing party politics, on the national level, so far has been a favourable distinction between independent Ukraine, on the side, and post-communist Eastern Europe, indeed post-1991 Europe in general, on the other. So the social fluctuations in Ukraine over the last few months would not appear to provide sufficient explanation for the growth in Svoboda’s popularity. Politics played a part in Svoboda’s success too. A generally accepted explanation among Ukrainian political scientists for the leap in Svoboda’s popularity in 2010 attributes it to the collapse of the "Orange" camp, and to the overall radicalization of Ukrainian politics in the past year. Indeed, the speed and decisiveness which Yanukovych displayed in his accumulation of power since he became president in February 2010, and the "Tabachnik factor" (i.e. the humiliation of Galicians by the new ukrainophob Ukrainian education minister) evidently contributed significantly to the growth in popularity of Tyahnybok’s party. But if this explanation is considered to be the only one, it reveals an oversimplified view of politics, where a supposed political demand triggers the respective party supply. This is undoubtedly part of the answer. But the reverse mechanism described in Say's famous Theory of Markets (1803), has also played its part. According to this theory, supply can create its own demand. In other words, the political class of Ukraine bears also its share of responsibility for the rise of "Svoboda." In February 2010 the European Parliament criticised President Yushchenko’s glorification of the Organization of Ukrainian Nationalists. In spite of this warning, the Kyiv community of journalists, intellectuals and politicians has not eschewed contacts with the nationalists of today. Even the most respected Ukrainian media, such as TV Channel 5, or the leading Internet publication Ukrainska Pravda, have regularly provided Tyahnybok and his fellow party members with forums to disseminate their views and popularize their party. In the two years up until mid 2010, Svoboda’s increased representation in the electronic media was out of proportion to its marginal political role, on the national level. It is only recently that Svoboda’s growing, partly media-generated, popularity can be said to justify its frequent appearance in the Ukrainian mass media. It could even be asserted that certain specific features of the new "politainment" (i.e. 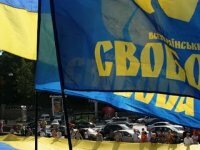 political entertainment programmes) on Ukrainian television have helped "Svoboda" to become part of the Ukrainian political establishment, during the last year. The two main political talk shows in Ukraine, "Shuster Live" on the TRK Ukraina channel, and "Big Politics" on the Inter channel, are presented every Friday evening by the popular Russian-speaking TV hosts Savik Shuster and Yevgeny Kiselyov. Shuster and Kiselyov are "political immigrants:" they gained fame as hosts on the Russian NTV (Independent Television) channel in both the Russian Federation, and Ukraine. As a result of the gradual curtailment of Russian media freedom in the first half of the 2000s, they left NTV. After professional breaks, Shuster and Kiselyov, one after the other, began new journalistic careers on Ukrainian television. Although these TV journalists take pains to achieve a balance between the invited guests and the audience when hosting their popular programmes, at many of the televised weekly debates held in 2010, Tyahnybok or his young deputy Andriy Ill'enko were given the floor. This was surprising given the marginal nature of "Svoboda" at the time. The presence of "Svoboda" representatives on "Shuster Live" and "Big Politics" was until recently not commensurate with the party's relative irrelevance and exoticism, on the national level. The invitations to "Svoboda" leaders to take part in political discussions can evidently be explained by the piquancy that they added to TV debates, especially as far as national identity and sovereignty were concerned. In addition, the Party of the Regions’ strategy of supporting "Svoboda" had something to do with it, i.e. the argument mentioned above that Svoboda’s considerable popularity and media presence was useful to the Party of the Regions in the campaign for the October 2010 regional and local elections. It was part and parcel of a "political technology" that tried to split the ukrainophile national vote, and to reduce the elections result of the main opposition group, Tymoshenko's "Batkivshchyna" party. Perhaps this was why Tyahnybok and Co. appeared so often on the Inter and TRK Ukraina channels, which are in the sphere of influence of oligarchs close to the Party of Regions, i.e. Valery Khoroshkovsky (the new head of the Ukrainian Security Service) and Rinat Akhmetov (a deputy in the Parliament from the Party of Regions). Furthermore, one gets the impression (perhaps unjustified) that, by inviting "Svoboda" to their political shows, Shuster and Kiselyov were trying to compensate for the ambivalence of their own positions as influential, but Russian-speaking, media figures in Ukraine. Perhaps another factor of the disproportionately frequent presence of "Svoboda" in Kyiv's TV debates was the attempt by the Russian immigrants Shuster and Kiselyov to prove that they as journalists were not trying to hinder Ukrainian "patriotic" tendencies. It would seem that the genie is now out of the bottle: Tyahnybok’s "Svoboda" party, promoted into the national political discourse by Kiselyov’s "Big Politics" and other media, has reached the shores of Ukrainian big politics. "Svoboda" significantly increased its representation on many Oblast and local councils after the elections on 31 October 2010, which will undoubtedly further increase its media presence. Now this is justified: "Svoboda" has become a relatively important political force in Ukraine. It remains to be seen whether this development will subsequently lead to the party entering the Verkhovna Rada and becoming a constituent part of Ukrainian high politics. The fate of "Svoboda" depends primarily on whether free parliamentary elections will continue to be held in Ukraine. If they are, then the issue remains as to whether the system of proportional representation will be preserved, as well as whether the relatively low threshold of 3% for the Verkhovna Rada will remain in place. Raising the threshold to 5% (as is the practice in a number of European countries) might be sufficient to keep "Svoboda," in the future too, outside the national parliament. A final observation needs to be made. Recently, there have appeared speculations, in Kyiv, that the Party of Regions may be preparing Tyahnybok to become Viktor Yanukovych's major contender in the next 2015 presidential elections. This could create a situation, in a probable run-off vote, similar to the second round of the 1999 Ukrainian (incumbent Kuchma vs. communist Symonenko) or 2002 French (incumbent Chirac vs. ultra-nationalist Le Pen) presidential elections. Tyahnybok's advance to the second round of the 2015 elections would, in view of his extreme political position, secure victory even for an unpopular Yanukovych. Paul Kubicek, "What Happened to the Nationalists in Ukraine?" Nationalism and Ethnic Politics, no. 1, 1999, pp. 29-45. Taras Kuzio, "Radical Nationalist Parties and Movements in Contemporary Ukraine before and after Independence: The Right and its Politics, 1989-1994," Nationalities Papers, no. 2, 1997, pp. 211-242. Taras Kuzio, "Populist Nationalists in Ukraine," Ukraine Analyst, no. 16, 2009, pp. 1-4. Per Anders Rudling, "Organized Antisemitism in Contemporary Ukraine: Structure, Influence and Ideology," Canadian Slavonic Papers, nos. 1-2, 2006. pp. 81-119. Anton Shekhovtsov, "Ukraine: Extreme-right party makes major election gains," Searchlight, no. 426, December 2010, p. 25. Anton Shekhovtsov, "A Creeping Resurgence of the Ukrainian Radical Right? 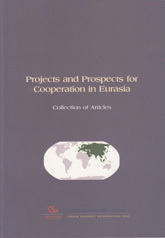 The Case of the Freedom Party," Europe-Asia Studies, 2011, in print. 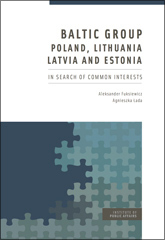 Anton Shekhovtsov and Andreas Umland, "Pravoradikal'naya partiynaya politika v postsovetskoy Ukraine i zagadka elektoral'noy marginal'nosti ukrainskikh ul'tranatsionalistov v 1994-2009 gg.," Ab Imperio, no. 2, 2010, pp. 219-247. Andreas Umland, "Die andere Anomalie der Ukraine: ein Parlament ohne rechtsradikale Fraktionen," Ukraine-Analysen, no. 41, 2008, pp. 7-10. 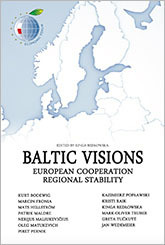 Andreas Umland, "Upadok ukrainskoy demokratii, voskhod Vseukrainskogo ob''edineniya 'Svoboda' i podryv mezhdunarodnogo imidzha Kieva," Geopolitika, 30 October 2010, http://www.geopolitika.lt/?artc=4304. Andreas Umland, Dr. phil., Ph. D., is a DAAD senior lecturer for the masters’ program in German and European studies at the political science department of the Kyiv-Mohyla Academy (www.des.uni-jena.de), and the editor of the trilingual scholarly book series "Soviet and Post-Soviet Politics and Society" (www.ibidem-verlag.de/spps.html).